We partner with others that are committed to developing best-of-breed solutions and delivering a customer experience that is second-to-none. Argentium Solutions enjoys relationships with industry experts and vendors who can contribute to the impact we make for our clients. As such, we demand that partners agree to put clients first, respect Argentium Solutions’ vendor/product neutrality, and commit to producing measurable results. For inquiries about partner opportunities, please contact us. Arista offers a broad portfolio of Gigabit Ethernet solutions including 1/10/40GbE and 100GbE large buffer switches that redefine network architectures, bring automation to the network, and dramatically change the price/performance of enterprise data center networks. Arista switches provide visibility and monitoring tools simply not available in other switching platforms. Arista Networks was founded to deliver software-driven cloud networking solutions for large data center and computing environments. Arista’s award-winning 10/40/100GbE switches redefine scalability, robustness, and price–performance. At the core of Arista’s platform is EOS, an advanced network operating system. 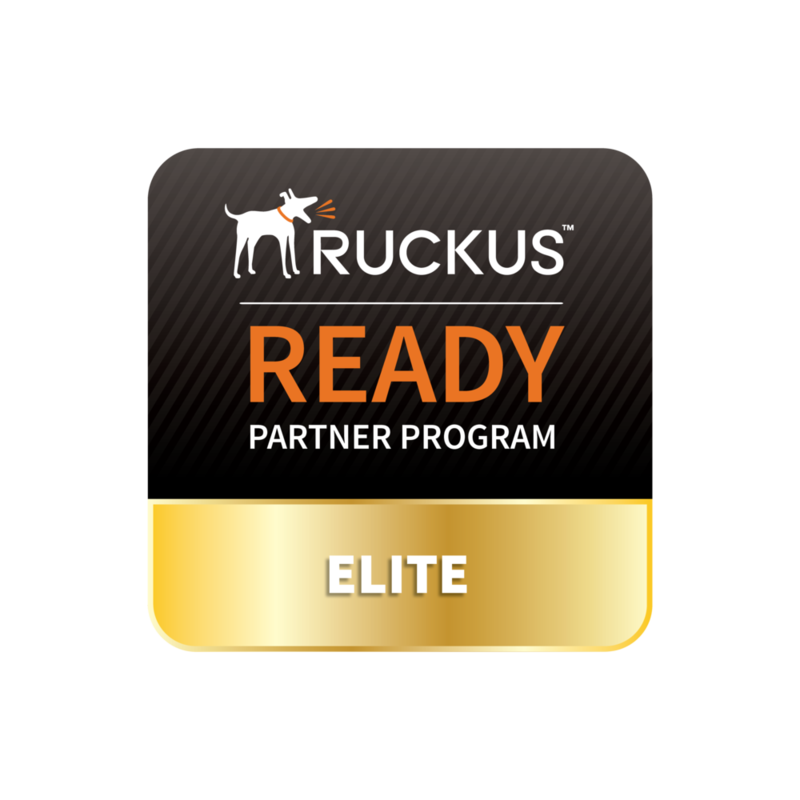 The Ruckus Wi-Fi, switching, and software portfolio builds on more than a decade's worth of patented technologies to offer simply better connections that enable awesome customer experiences—at a fraction of the cost of alternatives. They innovate across wireless and wired technology to meet industry-specific need; providing high-performance, secure, reliable access to applications and services no matter how tough the environment. From the coffee shop to the campus to the carrier, when connectivity really matters, organizations turn to Ruckus. As an Elite Alliance Partner for Brocade since May of 2012, Argentium Solutions invested in developing knowledge-rich practices to address new technology trends. This status within the APN program is indicative of Argentium Solution’s commitment to its customers: we will bring specialized skills, advanced industry knowledge, and superior strategy to every engagement. Aruba Networks® designs and delivers mobility-defined networks that empower a new generation of tech-savvy users who rely on their mobile devices for every aspect of work and personal communication. Known as #GenMobile, they demand to stay connected to everything all the time, no matter where they are. To create a mobility experience that #GenMobile and IT can rely on and trust, Aruba Mobility-Defined Networks automate infrastructure-wide performance optimization and trigger security actions that used to require manual IT intervention. Mobility-Defined Networks control the dynamic mobility environment by correlating real-time data about users, devices, apps and location. Self-healing and self-optimization functions dramatically reduce helpdesk tickets and protect enterprise data. Aruba employs a software approach that extends mobility intelligence across wired and wireless networks all the way to users, devices and apps. This makes Aruba Mobility-Defined Networks amazingly easy to deploy without any changes to the existing infrastructure. As a result, customers can rightsize their fixed network infrastructure, which saves IT time, slashes capital costs and accelerates the delivery of network services. They can even engage guests and employees with personalized push notifications based on their indoor location. We work with organizations around the world, in every industry, in the public and private sectors, and of every size, from startups to the Fortune Global 500. Our customers include global money center banks and other leading financial services firms, manufacturers, healthcare and life sciences organizations, Internet service and telecommunications providers, airlines and transportation companies, educational institutions, and public sector agencies. EMC ranks 128 in the Fortune 500 and had reported revenues of $24.4 billion in 2014, the largest revenue year in EMC's 35-year history. ￼driving IT efficiency. Integrated solutions address the entire end-to-end wired and wireless network. Fortinet protects the most valuable assets of some of the largest enterprise, service provider and government organizations across the globe. The company’s fast, secure and global cyber security solutions provide broad, high-performance protection against dynamic security threats while simplifying the IT infrastructure. They are strengthened by the industry’s highest level of threat research, intelligence and analytics. Unlike pure-play network security providers, Fortinet can solve organizations' most important security challenges, whether in networked, application or mobile environments – be it virtualized/cloud or physical. More than 200,000 customers worldwide, including some of the largest and most complex organizations, trust Fortinet to protect their brands. At Juniper Networks, we believe the network is the single greatest vehicle for knowledge, understanding, and human advancement that the world has ever known. Now more than ever, the world relies on high-performance networks. And now more than ever, the world needs network innovation to unleash our full potential. The network plays a central role in addressing the critical challenges we face as a global community. Consider the healthcare industry, where the network is the foundation for new models of mobile affordable care for underserved communities. Or the energy sector, where the network is helping to accelerate distribution of clean, renewable sources of energy. In education, the network continues to expand access to quality teaching resources, so that people of every socioeconomic background have a chance to educate themselves and participate in the global economy. At its core, the network has become a platform—one that transforms how we interact with our government institutions, conduct business on a daily basis, and connect with our family and friends. Every day, Juniper Networks is helping our customers build the best networks on the planet. Every innovation we envision, every technology we create is informed by our desire to help solve our customers’ toughest challenges so they can compete and thrive today and into the future. Nutanix delivers invisible infrastructure for next-generation enterprise computing, elevating IT to focus on the applications and services that power their business. The company’s software-driven Xtreme Computing Platform natively converges compute, virtualization and storage into a single solution to drive simplicity in the datacenter. Using Nutanix, customers benefit from predictable performance, linear scalability and cloud-like infrastructure consumption. Opengear provides enterprise customers with next generation smart solutions for managing and protecting their critical IT and communications infrastructure. We provide our customers with the security, the automation and the resilience necessary to operate efficiently, reduce costs and ensure business continuity. IT infrastructure continues to evolve at near exponential speed and with the growth of the Internet of Things (IoT) the need for smarter real-time decision-making, deeper data analysis, more robust data storage, always-on connectivity and network resilience becomes more critical. Opengear's mission is to deliver next generation remote management solutions to meet these needs. Integrating true out-of-band management, always-available wired and wireless secure remote access, proactive monitoring and automated response with failover capabilities to automatically restore site connectivity, Opengear solutions enable technical staff to provision, maintain and repair infrastructure from anywhere at any time, as if they were physically present, drastically reducing both operational costs and the risk of downtime. Veeam® recognizes the challenges companies face in enabling the Always-On Business™, which must operate 24/7/365. Pioneering a new market for Availability for the Modern Data Center™, Veeam helps organizations meet recovery time and point objectives (RTPO™) of less than 15 minutes for all applications and data through a new kind of solution that delivers high-speed recovery, data loss avoidance, verified protection, leveraged data and complete visibility. Veeam Availability Suite™ is a fundamentally new kind of solution that helps organizations meet recovery time and point objectives (RTPO™) of less than 15 minutes for all applications and data to enable the Always-On Business™. Veeam® Backup & Replication™ leverages technologies that enable the modern data center, including VMware vSphere, Microsoft Hyper-V, NetApp storage, and HP 3PAR StoreServ and StoreVirtual Storage. Veeam® Backup Essentials™ delivers the same functionality as Veeam Availability Suite™ in a smaller package to help businesses with 2, 4 or 6 CPU sockets meet recovery time and point objectives (RTPO™) of less than 15 minutes for all applications and data. Veeam® Management Pack™ for System Center is the most comprehensive, intuitive and intelligent extension for app-to-metal management of Hyper-V, vSphere and Veeam Backup & Replication™. Veeam® ONE™ helps enable the Always-On Business™ by providing complete visibility of the IT environment through monitoring and alerting tools, so that you can discover and be alerted to issues and potential problems before they have a significant impact on operations. Veeam® Availability Suite™ delivers Availability for the Modern Data Center™ to enable the Always-On Business™ with solutions that provide recovery time and point objectives (RTPO™) of less than 15 minutes for all applications and data. Veeam recognizes the challenges in keeping a business up and running at all times and addresses them with solutions that provide high-speed recovery, data loss avoidance, verified protection, leveraged data and complete visibility. Learn more about Veeam Availability Suite. Veeam Backup & Replication™ leverages technologies that enable the modern data center, including VMware vSphere, Microsoft Hyper-V, NetApp storage, and HP 3PAR StoreServ and StoreVirtual Storage, to help organizations meet recovery time and point objectives (RTPO™), save time, mitigate risks, and dramatically reduce capital and operational costs. Learn more about Veeam Backup & Replication.